Are you the type of person who simply cannot live without music playing in the background at all times? 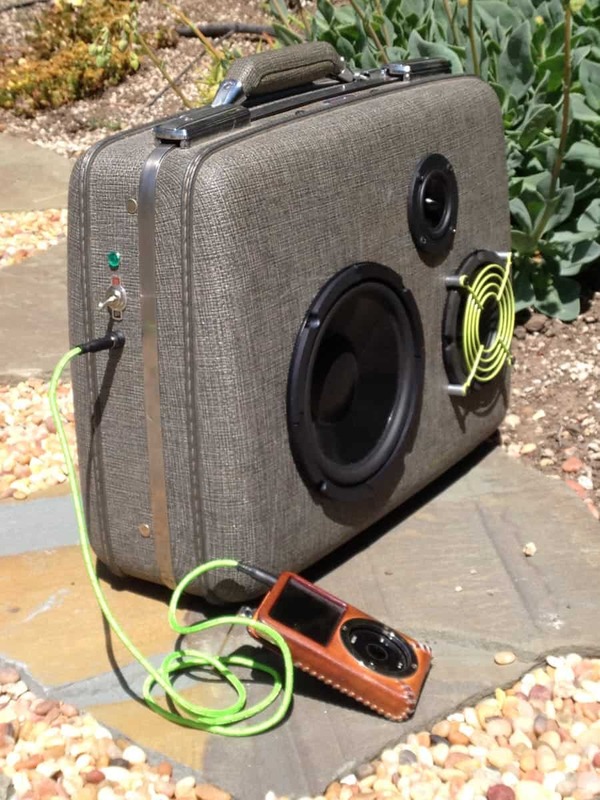 Then you are definitely going to love the Lil’ Hy-Phy Vintage Suitcase Boombox. 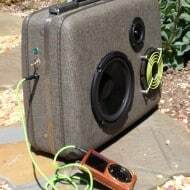 It is made from refurbished vintage luggage that has been repurposed into a functional boombox and ready to pair up with any portable music device. Powered by a rechargeable battery that can run from 8 to 10 hours on a single charge, it accepts iPod, Android, or any music player that uses a 3.5mm jack.